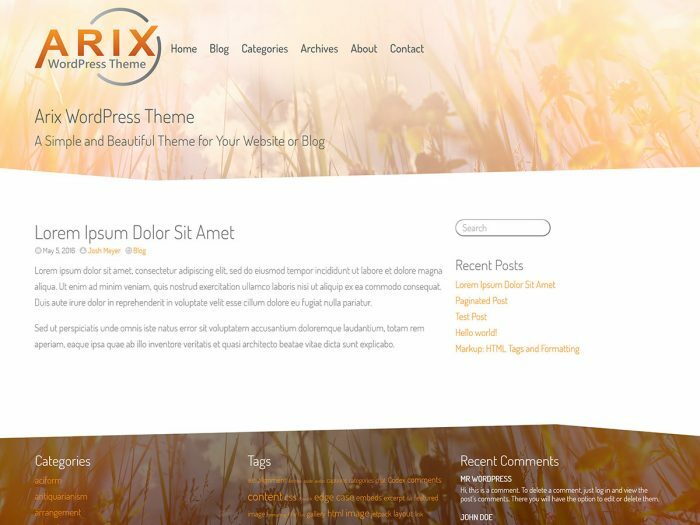 Arix is a simple and beautiful WordPress theme with a customizable background image that is lightened in the header and darkened in the footer. Arix has a mobile-friendly design with a responsive layout, and supports a custom logo, navigation menu, and widgetized sidebar and footer area. 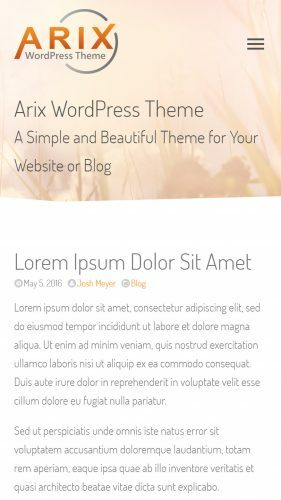 If you’re looking to add a light, fresh, and modern touch to your website or blog, Arix is for you.